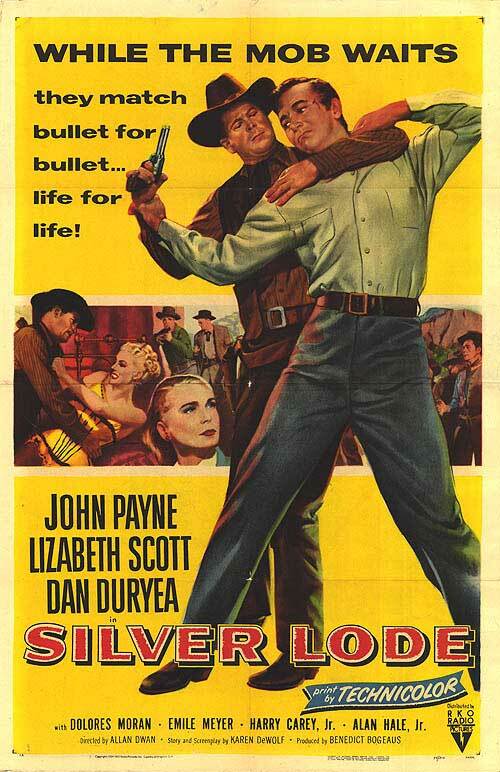 Silver Lode is a fairly standard 1950s western, but it is still interesting on a number of levels. The film is essentially a thinly veiled social commentary on the film industry’s communism scare and the actions of Senator Joseph McCarthy. The film’s villain is even named McCarty for those that don’t like subtext. 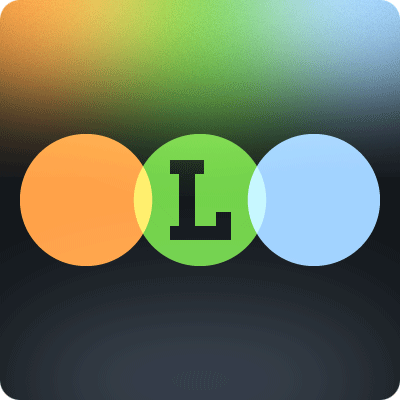 Silver Lode is also very well shot and directed, featuring a number of well implemented uses of moving camera. The most striking example comes towards the end of the film as the camera follows the main character as he attempts to make it across town without being seen. Today’s films could learn a lot from these impressive examples of inspired creativity. The acting is about standard for this era of Western pictures, which is to say that I’m not bowled over by it, nor repulsed by it. It’s good and it works. Dan Duryea is the best of the bunch in my opinion and the supporting cast of townspeople all do a good job. My only complaint about the cast is with the casting of Lizabeth Scott. While she didn’t do a bad job, she just seemed a little out-of-place as the down-home country girl. She has the cold, sharp-lined face of a true femme fatale, so she was hard to buy in this role. But acting isn’t why you’re watching this movie, is it? No, most likely if you’ve heard of this one, it’s because you’re interested in the HUAC hearings and the Hollywood blacklist. The major allusion to the threat of communism and everything surrounding it comes from the reactions of the townspeople to Ballard. He’s lived among them for two years and been nothing but an upstanding gentlemen. When the first accusation is made, the town rallies in support. They can’t believe that this friend of theirs is a murderer. They’ve known him for two years! That’s long enough to know a man. There must be some mistake. As time goes on though, they begin to turn on him as circumstantial evidence seems like it could point to Ballard as a true menace. One man’s dialogue around a saloon poker table is the turning point when the town becomes part of the posse hunting him down. He asks how they know what he did before coming to town. They barely know him! It’s only been two years! This suitably riles everyone up, because yeah, we don’t really know him! 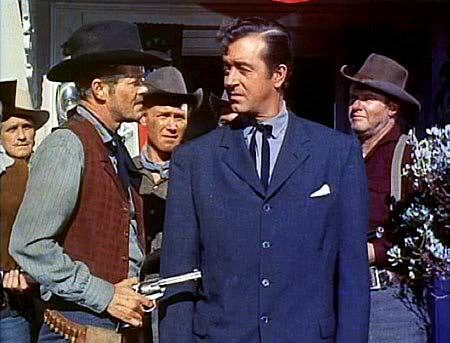 Despite the fact that the Marshall comes to town completely unknown to everyone there, his word is accepted without question at the first hint it might be truth. Ballard’s two-year goodwill quickly dissipates as his supposed friends turn on him. My one problem with the film as commentary is that throughout the picture Ballard remains mostly silent about the actual events that led McCarty to hunt him down. I would think that he could have saved himself a lot of trouble if he had only opened his mouth a bit more. He instead hinges his entire fate on the actions of one man, who could just as easily turn against him. We wouldn’t have a movie if this wasn’t the case I suppose, but it did bother me a little. The end result is satisfyingly good though, with the final moments playing out in a church bell tower, similarly to Vertigo in ways. The last couple of scenes are some of the strongest of the picture and further illustrate the fickle nature of the mob mentality. I thought the concluding chase and tense fight were especially satisfying. This is a good “paranoid town vs. accused man” story, similar to the Twilight Zone episode The Monsters are Due on Maple Street and countless others in the small, but enjoyable sub-genre. Good stuff if you’re so inclined.